Trackwise make front cover of Electronics Weekly with possible world record? WEY Eductaion plc (LON: WEY) CEO Jacqueline Daniell updates DirectorsTalk on some of the more recent developments at WEY, additions and changes and the benefits these will bring to the company. Wey Education plc is the AIM listed holding company of an educational group providing services online worldwide. 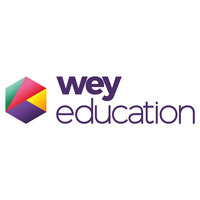 Using state of the art digital technology, Wey operates two established divisions – InterHigh, a non-selective fee paying online secondary school, established in 2005 and a B2B division serving other educational providers, schools, local authorities and other public bodies under two brands, Wey ecademy and Academy21. Wey is also developing two additional schools – Quoralexis, an online language school teaching English as a Foreign Language, and Infinity Education, a premium fee paying online school offering a selective education. With a 14 year track record, Wey is the UK’s leading company in this sector and has successfully educated thousands of students over its history. Although “for profit”, Wey is conscious that its services directly affect the lives of its pupils and students and therefore strives to ensure they achieve outstanding progress and outstanding results. Click WEY for the full archive. You understand and agree that no content published on the Site constitutes a recommendation that any particular security, portfolio of securities, transaction, or investment strategy is suitable or advisable for any specific person. You further understand that none of the information providers or their affiliates will advise you personally concerning the nature, potential, advisability, value or suitability of any particular stock, share, security, portfolio of securities, transaction, investment strategy, or other matter. We openly disclose that we and our contributors may have interests in investments and/or providers of services referred to within the website and that we receive remuneration from certain of the companies referred to on this website. © 2019 - DirectorsTalk Interviews. All rights reserved. Reproduction in whole or in part, in any form or medium without express written permission is prohibited.